Earlier this month, Chinese Testing International (CTI) became LTI’s exclusive distributor for the delivery of ACTFL Assessments in the People’s Republic of China. This agreement brings forth significant opportunities for all parties, in all markets, including commercial, government and educational fields. The agreement also adds to the expanding distributor list that is a main focus of LTI in 2016 and beyond. 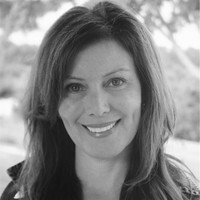 The agreement was reached through combined efforts on many fronts. 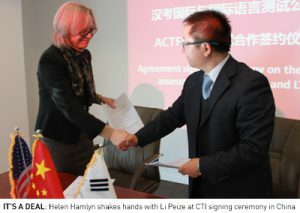 They included negotiations made by LTI’s Managing Director of Business Development, Gabriel Cruz and CEO, Helen Hamlyn, who last week signed the agreement in a ceremony at CTI headquarters in China. This is a very exciting time for LTI and this announcement continues our positive, forward progress.